Uh...some gleeks need to lighten up!! Blaine and Kurt are not a real couple. Sebastian is only a character on a TV show. If anything, threaten the writers!!...kidding. 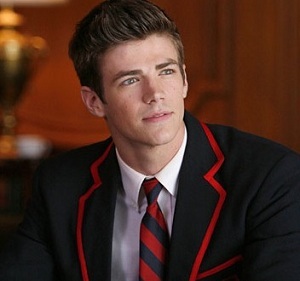 Grant Gustin, who plays Sebastian Smythe on hit musical TV show Glee, says his character’s desire to break up the show’s young gay couple earned him death threats from fans. Main character Kurt Hummel, played by Chris Colfer, had found love with Blaine Anderson, played by Darren Criss, when he transferred to his school’s choral rival, Dalton Academy. But clouds gathered following the arrival of Sebastian, portrayed by Grant Gustin, who set his sights on Kurt’s new boyfriend. The two halves of Glee’s only on-screen gay couple, excruciatingly referred to in some quarters as ‘Klaine’, were going to be shown not just to be “together because they’re the only two gay characters”. Now, in an interview with E!, Gustin says: “At first, first people were like, ‘Oh this guy’s cool, we like him, blah blah blah’. Then they found out what the character was going to be. Gustin laughed off the threats and went on to praise the “intensity” of Glee fans in general.